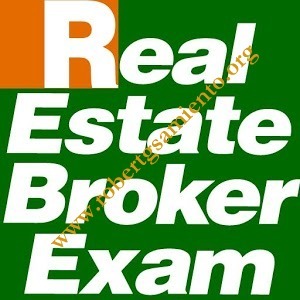 Change has come even in the field of Real Estate Broker Licensure Examinations. Last May 22, a real estate broker licensure examination was held in Manila, Cagayan de Oro and Cebu. What set this exam apart from all previous ones was that for the first time, only degree holders in Bachelor of Science in Real Estate Management (BS REM) were qualified to take it. Unfortunately, non-BS REM graduates, even though holders of a relevant bachelor’s degree, were ineligible to take the licensure exam. Section 14 of Republic Act 9646, otherwise known as the Real Estate Service Act of the Philippines or the RESA Law, provides the qualifications of applicants for the real estate broker licensure examination. The requirements include that the applicant be a holder of a relevant bachelor’s degree from a state university or college, or other educational institution duly recognized by the Commission on Higher Education (CHED). The law further provides that should a course leading to a bachelor’s degree in real estate service (i.e., BS REM) be implemented by the CHED, such course shall be a requirement for taking the licensure examination. Considering that the CHED has already issued Memorandum Order No. 28 on Oct. 25, 2011, providing guidelines for the implementation of the 4-year BS REM course, a degree from the said course is now a requirement to apply for the exam. The guidelines aim to develop real estate practitioners that are globally competitive in pace with the business environment.In recent years, for so long as the applicant has completed at least 120 credit units of real estate subjects and has undergone training with an accredited service provider, he or she may apply for the licensure exam. But since the initial offering of the BS REM course in 2012, producing the first batch of graduates this year, only degree holders of the course were allowed to take the exam last May 22, 2016. Incidentally, out of the 39 BS REM graduates who applied for the exam, 21 passed. This volume pales in comparison to the 5,499 passers out of the 9,749 applicants during the February 2016 exams. Some non-majors in BS REM are still hoping that they will be allowed to take the examination in the future; but to date, no resolution from the Professional Regulatory Commission (PRC) has been issued granting them eligibility. With the disallowance of non-BS REM degree holders, a potential growth in the number of unlicensed brokers can be expected. As this course requires time and investment, non-holders of a BS REM degree may not want to undergo 4 years of education just to earn such degree. Having said this, it is not surprising that the Bureau of Internal Revenue (BIR) issued an amendment to the withholding tax regulations after the CHED Memorandum Order was issued, which took into consideration both licensed and unlicensed real estate brokers. • 10% on gross commissions or fees paid to unlicensed real estate service practitioners, i.e., those who failed or did not take the licensure examination and are not registered with the real estate service under the PRC. Comparatively, unlicensed real estate brokers enjoy a lower withholding tax rate than their licensed counterparts. A tax rate as high as 15% may be withheld from licensed brokers should their gross income exceed P720,000. This disparity would seem to discourage professional regulation by imposing a higher tax burden on licensed practitioners. Perhaps the BIR should have made the tax rates for both practitioners at par with each other. After all, licensed brokers underwent compliance with the regulatory requirements of the government; hence, disparities in treatment, if any, should be to their advantage. Another option would be to impose higher withholding tax rates on unlicensed brokers to help curb the unauthorized practice of real estate services. Section 29 of the RESA Law prohibits the unauthorized practice of real estate service unless a broker has satisfactorily passed the required licensure examination, holds a valid certificate of registration and professional identification card, and has paid the required amount of bond. Under the RESA Law, unlicensed real estate service practitioners shall be subject to a penalty of P200,000 or imprisonment of not less than four (4) years, or both. On a positive note, I appreciate the BIR’s recognition that there are unlicensed persons who are engaged in the practice of real estate service and has done its part to at least make sure that they are subjected to withholding taxes on their income. Also, come to think of it, the distinction of the withholding tax rates between licensed and unlicensed real estate service practitioners may be beneficial to some extent. This is especially true for withholding tax on individuals whose annual gross income exceeds P720,000. Perhaps, the PRC as well as other responsible officers of the law can coordinate with the BIR to identify unlicensed practitioners through the 10% withholding tax rate applied, so they may be brought before the law. The challenges right now include how the PRC can increase the number of people who can take the real estate broker examination, and how we can mitigate, if not eliminate, the unauthorized practice of real estate service. There are other ways and legal means by which people in general can still practice real estate service without violating the RESA Law (e.g., being accredited real estate salespersons of licensed real estate brokers). If the government is serious in uplifting the standards of the real estate profession, then change must be instituted on a broader spectrum — one which may require collaboration by and among the PRC, BIR as well as other relevant government agencies, and real estate practitioners. Together, the Philippines can achieve a globally competitive realty industry. But change must foremost be welcomed. It’s the first step in moving forward.